Creative Loafing announced their Best of Charlotte awards in the issue hitting newsstands today. Congrats to all involved in garnering these awards from Creative Loafing this year. The hard work of the students, faculty and staff is evident in all that they do. Onward and upward! Folks who confine their diet of musicals in Charlotte to touring productions at the Performing Arts Center are missing out big time on the locally produced blockbusters playing out at smaller venues around town. Actor’s Theatre, Children’s Theatre and Theatre Charlotte all astonished with excellent productions this year. 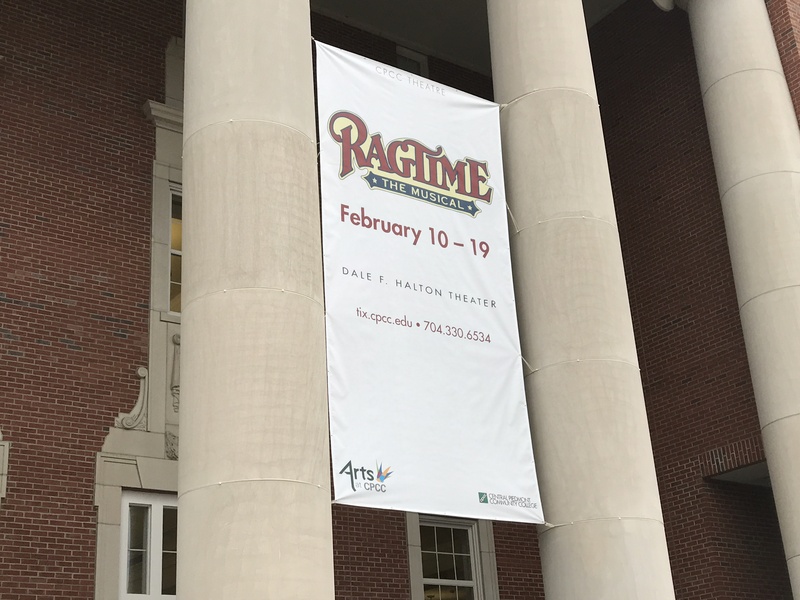 Maybe it was sheer luck, but Central Piedmont Community College’s wintertime production of Ragtime was the most timely of the year, underscoring the sad fact that institutional racism, police brutality and prejudice against immigrants aren’t quaint relics of the Jazz Age. As the martyred Coalhouse Walker, Tyler Smith’s impassioned “We are all Coalhouse!” reverberated through a city in turmoil. As Charlotte was fully wakening to how badly we have neglected and mistreatedour underclass, theatergoers may finally have been zonked by the realization that our city is exceptionally rife with African-American acting and directing talent. Kim Parati made an auspicious directorial debut at Theatre Charlotte with a freshened-up Raisin in the Sun, but this was a vintage year for August Wilson — in two dramas directed by Corlis Hayes, Ma Rainey’s Black Bottom at CPCC and Brand New Sheriff’s Jitney at Spirit Square. Hayes brought out the best in John W. Price and Jermaine Gamble as the father-son antagonists in Jitney, with Gerard Hazelton adding a mix of comedy and poignancy as the gypsy cab company’s resident lush. Move over OnQ Productions, there’s a brand new black theater company in town. The field of contenders is larger among the ladies, but the roles were more thinly distributed, eliminating productivity as a decisive criterion. But which other benchmark should override all others? We’re turning to Shar Marlin for her sheer power and imperial dominance in Ma Rainey’s Black Bottom, a dramatic stunner that also showed Marlin’s blues-singing chops. Dignity in the face of exploitation and discrimination. Diva! 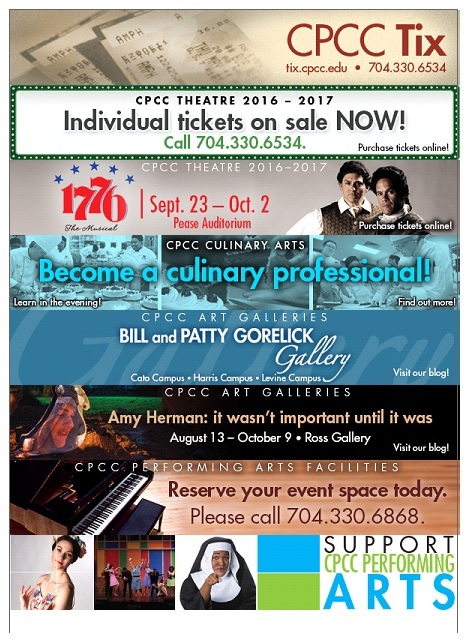 Get your tickets at the SunTrust box office 704-330-6534 or online at tix.cpcc.edu 24/7. 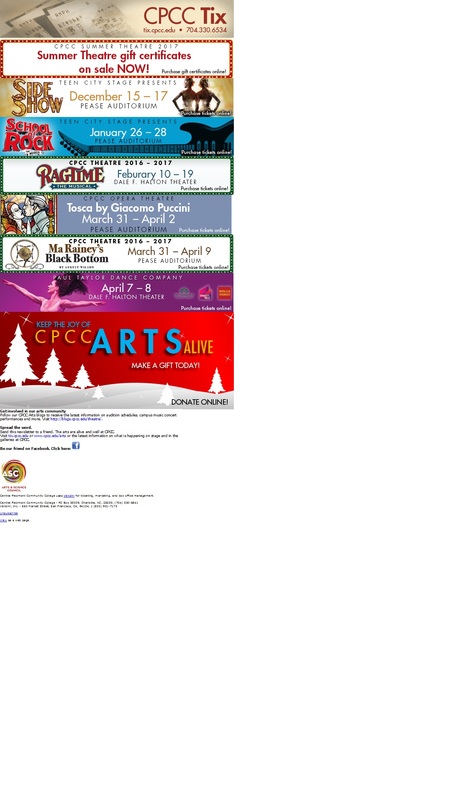 CPCC Theatre presents Ragtime the Musical February 10th – 19th in the Halton Theatre. 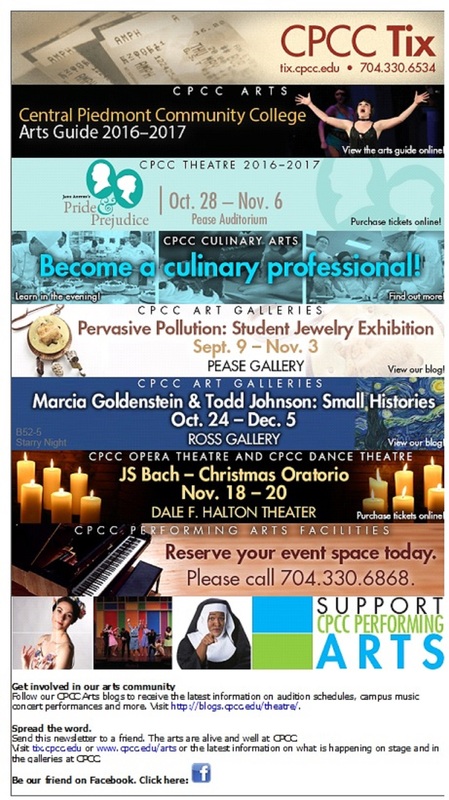 Get your tickets at the SunTrust Box Office 704-330-6534 or online 24/7 at tix.cpcc.edu. We would like to say thanks to everyone who auditioned for Ragtime. The talent displayed at the audition made casting very difficult. We invite everyone who auditioned to come back soon to audition again.